They were named by Christian Ehrenberg in 1835, who called them Phytolitharia, or ‘plant stones’ (Piperno 2006, 5). Phytoliths were identified in dust samples taken by Charles Darwin from the deck of the HMS Beagle off the coast of West Africa in 1833. 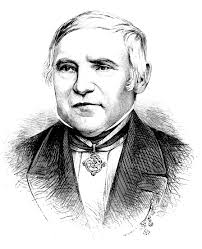 Darwin recorded sending these samples to Christian Ehrenberg who identified 34 types of phytolith (Darwin 1846, 28-29). Darwin was surprised that ‘a sample smaller than half a teaspoon’ contained seventeen different types of phytolith (Darwin 1846, 28-29). 3. 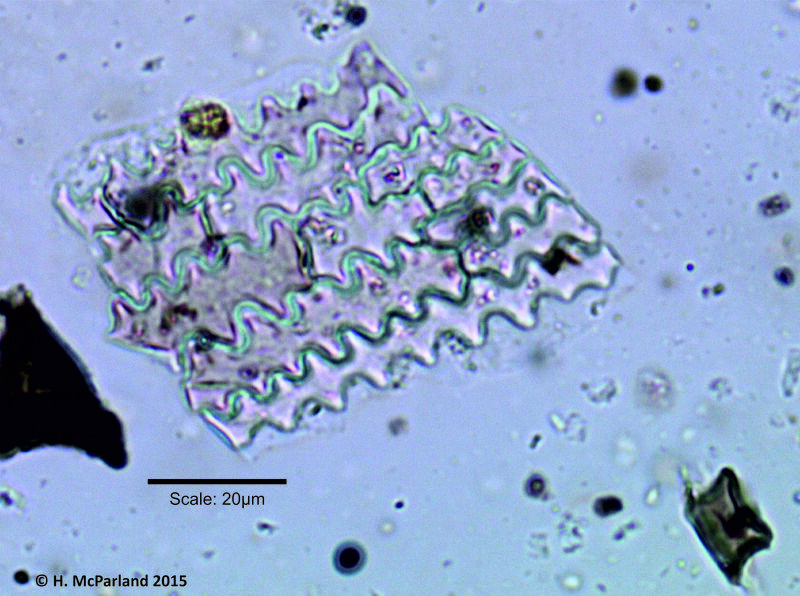 Phytoliths are basically small fossil plant skeletons! They form within some plants when they absorb Monosilicic acid (Si(OH)₄) from the ground water. The Monosilicic acid can become deposited as solid or opaline silica (SiO₂·nH₂O) within or between plant cells during transpiration, essentially producing a ‘negative’ of the cell within the plant (Piperno & Pearsall 1993; Piperno 2006, 6-8). Not all plants make phytoliths – some plants have cells with a genetic susceptibility to silicification, whereas other plants may make phytoliths in response to an environmental stress or effect, such as the over absorption of Monosilicic acid (Pearsall & Piperno 1993, 9; Piperno 2006, 8). It used to be thought that silica was deposited as a waste product within the plant, but it has been suggested that phytoliths provide support for plant structures, that they help plants to resist attack by insects or make them unpalatable for consumers (Piperno & Pearsall 1993; Piperno 1991). 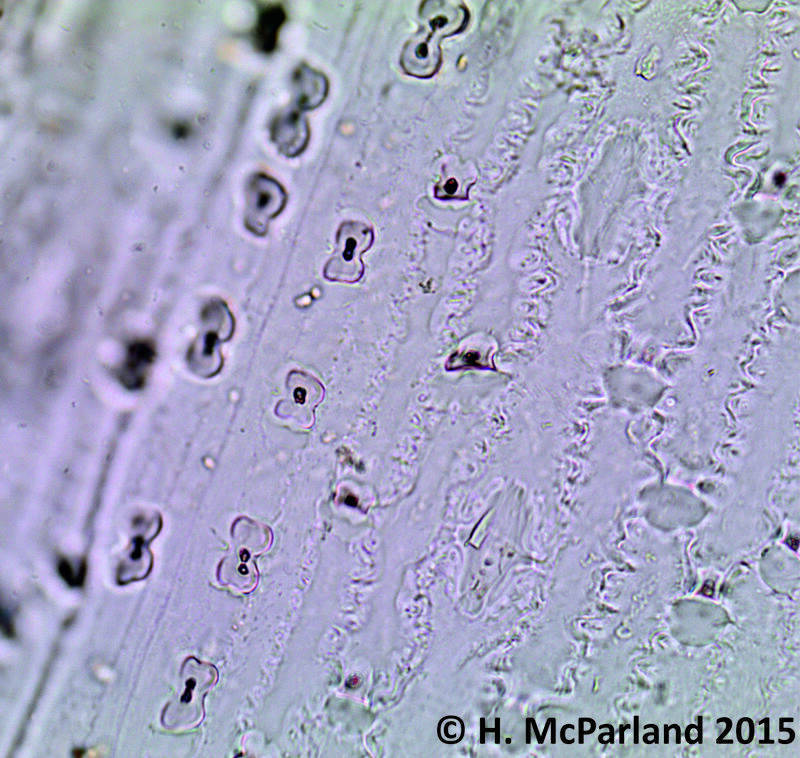 Due to their high silica content, Phytoliths are not dependent on charring, waterlogging or mineralisation like plant macrofossils, and their preservation isn’t dependent upon an anoxic environment, like pollen. Pretty simply, this means that if a phytolith producing plant has degraded somewhere, the chances of finding the phytoliths in any soil type are quite high. Phytoliths are particularly useful in tropical regions of the world where the preservation of pollen or plant macrofossils might be severely limited, leaving almost no information about plant use or environment (Piperno 2006, 151). But, like everything, there are more complex mechanisms which determine phytolith survival in the archaeological record, aside from pre- and post-depositional taphonomic factors, the degree of silicification of the phytolith – some will contain other elements which may make them more susceptible to dissolution (dissolving into the soil) – has a potential impact on its survivability and subsequent archaeological visibility (Piperno 2006, 21). Soil pH will also have an impact to some degree – higher pH values above pH 9 have the potential to increase phytolith dissolution. These conditions are relatively rare, occurring in high pH coral sediments, lime plastered floor surfaces, shell middens and within confined ashy layers (Karkanas et al. 2002; Piperno 2006, 22). Essentially, the take home message is that phytoliths will survive in most archaeological contexts, most of the time. 6. Phytoliths aren’t only produced in the reproductive structure of the plant. Most of the evidence we see archaeobotanically is in the form of seeds preserved by charring or in some cases waterlogging or mineralisation. Whilst this has the potential to tell us about food preparation, consumption patterns and, to some extent, the local environment, the mode of preservation doesn’t provide us with the full picture. Because phytoliths can be produced in the leaves, stems, flowers and fruit of some species, it enables a wider range of applications. For example, at Çatalhöyük, the preservation is so pristine that baskets are outlined within the soil, formed of chains of white phytoliths visible to the naked eye and which can be identified to plant family. Baskets or matting made of reeds (Phragmites sp.) and rushes (Scirpus sp.) have been identified at Çatalhöyük, and in the case of the basket from within Building 5, the grass or reed basket identified by the presence of bilobates, was associated with Wheat husk phytoliths, strongly suggesting that these baskets were used for the storage of Wheat grain (Rosen 2005 206-207; Jenkins et al. 2012). In addition, the presence of Date Palm (Phoenix dactylifera) globular echinates, is doubly important – demonstrating the potential use of Date Palm basketry or cordage and the import or potential trade of an organic object during the Neolithic, as Date Palms were not native to the region (Rosen 2005, 207). They are released during the decay of plant material and incorporated into soils and sediments during pedogenesis (soil formation). Unlike pollen, which can be designed to be wind or water dispersed to aid plant reproduction, phytoliths are relatively unlikely to travel long distances or become subject to wind dispersal. Therefore, it is often assumed that phytoliths are preserved in situ. Given that the dust from the HMS Beagle contained such a diversity of phytoliths, I’ll leave it up to you to decide whether this is strictly true. Though wind transport is possible, there are other things to worry about when interpreting a phytolith assemblage, including pre-depositional and post-depositional taphonomy. In other words, assuming that the phytoliths were not transported by the elements, there are a range of chemical, physical and anthropogenic actions which can impact their inclusion into the archaeological record. For example, post-depositional activities such as sweeping may remove the phytolith assemblage from domestic contexts (Malinsky-Buller et al. 2011; Rosen 2005). It’s important to remember that no archaeobotanical material is without these issues, and in secure contexts and discrete features where the archaeology is well preserved, the phytolith assemblage can be representative of plant use and activity areas. 8. Phytoliths can get stuck in your teeth! Phytoliths have been found in the dental calculus of humans (Henry et al. 2010; Henry & Piperno 2008) and grazing animals (Gobetz & Bozarth 2001; Middleton & Rovner 1994). Phytoliths from the dental calculus of herbivores have provided an insight into the way in which the herbivores were managed during the American Colonial period in Virginia (Middleton & Rovner 1994). This approach combined with new approaches to the identification of livestock dung through soil geochemistry, phytolith and spherulite analysis has the potential to reveal important information about livestock management and the use of dung in domestic contexts (Lancelotti & Madella 2012). Phytoliths have also been found within dental calculus on the teeth of American Mastodons, providing an insight into their grazing habits during the Pleistocene (Gobetz & Bozarth 2001). The phytolith assemblage was dominated by grasses, with limited dicotyledon phytoliths from deciduous trees and Celtis sp. seeds (Hackberry) (Gobetz & Bozarth 2001). Did Mastodons have a sweet tooth? The analysis of phytoliths from human dental calculus has revealed the probable consumption of Phoenix sp. (Date Palm) fruits among Near Eastern Neanderthal populations in Shanidar Cave, Iraq (Henry et al. 2010). However, starch is more likely to become occluded within dental calculus, the recovery of starch grains from dental calculus samples taken from human populations at Tell al-Raqā’i, Syria, outnumbered phytoliths almost 30:1 (Henry & Piperno 2008). Phytolith analysis of dental calculus can be a valuable tool when undertaken with starch analysis, but it seems that phytoliths are less likely to become occluded within calculus than phytoliths, which can lead to the necessary interpretation of an extremely small sample. 9. Phytoliths have been found in Dinosaur poo! Samples of Dinosaur coprolites produced by Late Cretaceous Titanosaur sauropods found in India revealed a surprise component of their diet, they ate grass! The teeth of Titanosaur sauropods or ‘the most prominent plant-eaters in Gondwana’ are not specifically adapted for grass grazing, yet phytoliths within their coprolites suggest that they consumed five varieties of grass (Prasad et al. 2005, 1178). The phytolith evidence revealed that they consumed palms, conifers and dicots in addition to grasses, suggesting that they had general grazing preferences, exploiting a wide range of taxa (Prasad et al. 2005, 1179). 10. Phytoliths are Spicy Stuff! The, let’s say ‘universal’, preservation of phytoliths enables a greater understanding of aspects of food production and consumption which are often invisible. As their preservation doesn’t rely on charring and diagnostic phytoliths are not only produced in the seed part of the plant, phytoliths have the potential to be preserved within pottery residues, providing direct evidence of the use of plants, and to some extent consumption. Phytoliths have the potential to illuminate aspects of a complex culinary process, which are largely archaeologically invisible. A recent analysis of late Mesolithic and early Neolithic pottery residues employed lipid, stable isotope, and starch and phytolith analysis revealing evidence of the use of Alliaria petiolata (Garlic Mustard) as a spice (Saul et al. 2013). The preservation of phytoliths within the pottery residues was good, with just over a third of carbonised pottery residues analysed containing phytoliths (Saul et al. 2013). The identification of Alliaria petiolata phytoliths demonstrates the use of a nutritionally poor food, selected for its taste, suggesting that prehistoric populations of the western Baltic consumed food with flavour, not only substance (Saul et al. 2013). This discovery was widely reported by the media including BBC News, The Telegraph, The Independent, National Geographic and The Daily Mail. Addendum: However, the relatively small sample size and a focus on a single phytolith identification have been discussed in an interesting review of the paper in a blog post by Dr Lisa-Marie Shillito, who maintains Castles and Coprolites, a successful geoarchaeology blog. Gobetz, K.E. and Bozarth, S.R. 2001. Implications for Late Pleistocene Mastodon Diet from Opal Phytoliths in Tooth Calculus in Quaternary Research, Vol. 55, Issue 2. pp. 115-122. Henry, A.G., Brooks, A.S. and Piperno, D.R. 2010. Microfossils in calculus demonstrate consumption of plants and cooked foods in Neanderthal diets (Shanidar III, Iraq; Spy I and II, Belgium) in PNAS: proceedings of the National Academy of Sciences of the United States of America, vol. 108, no. 2. Henry, A.G. and Piperno, D.R. 2008. Using plant microfossils from dental calculus to recover human diet: a case study from Tell al-Raqā’i, Syria in Journal of Archaeological Science, vol. 35, issue 7. pp. 1943-1950. Jenkins, E. L., Rosen, A. M. and Otsaku, M., 2012. The Phytoliths of the BACH Area. In: Tringham, R. and Stevanović, M., eds. Last House on the Hill: BACH Area Reports from Çatalhöyük, Turkey. Los Angeles, CA, USA: Cotsen Institute of Archaeology Press, 261 – 267. Karkanas, P., Rigaud, J-P., Simek, J.F., Albert, R.M. and Weiner, S. 2002. Ash, bones and guano: a study of the minerals and phytoliths in the sediments of Grotte XVI, Dordogne, France in Journal of Archaeological Science, vol. 29. pp. 721-732. Lancelotti, C. and Madella, M. 2012. The ‘invisible’ product: Developing markers for identifying dung in archaeological contexts in Journal of Archaeological Science, Vol. 39, Issue 4. pp. 953-963. Malinsky-Buller, A., Hovers, E. and Marder, O. 2011. Making Time: ‘Living floors’, ‘palimpsests’ and site formation processes – A perspective from the open-air Lower Palaeolithic site of Revadim Quarry, Israel in Journal of Anthropological Archaeology, vol. 30. pp. 89-101. Middleton, W.D. and Rovner, I. 1994. Extraction of Opal Phytoliths from Herbivore Dental Calculus in Journal of Archaeological Science, Vol. 21, Issue 4. pp. 469-473. Piperno, D. R. 2006. Phytoliths: A Comprehensive Guide for Archaeologists and Paleoecologists, AltaMira Press. Piperno, D.R. and Pearsall, D. 1993. The Nature and Status of Phytolith Analysis in Pearsall, D. and Piperno, D.R. (eds.). 1993. Current Research in Phytolith Analysis: Applications in Archaeology and Paleoecology, University of Pennsylvania Press. Prasad, V., Stromberg, C.A.E., Alimohammadian, H. and Sahn. A. 2005. Dinosaur Coprolites and the Early Evolution of Grasses and Grazers in Science, vol. 310. pp. 1177-1180. Saul, H., Madella, M., Fischer, A., Glykou, A., Hartz, S. and Craig, O. 2013. Phytoliths in Pottery Reveal the Use of Spice in European Prehistoric Cuisine in PLoS One, vol. 8, issue 8. This is my first blog post, for Day of Archaeology 2014!! Right now, I spend my life counting phytoliths – over 3500 phytoliths so far….What’s a phytolith and why does it get me out of bed and into the lab before 7am? How did you not realise this was such an exciting archaeological technique? Phytoliths are a bit like plant negatives; essentially the plant absorbs monosilicic acid (H4O4Si) from its water supply and during transpiration as the water ‘leaves’ the plant, the monosilicic acid becomes solid opaline silica. It has to go somewhere, so it fills in gaps within the cell structure of the plant. These gaps are either within the cells, or surrounding the cells, making silica negatives of the internal cell structure. Not all plants make phytoliths though, just like not all plants preserve well as charred plant macrofossils, and not all pollen grains enter the local archaeological record or preserve well. Plants have to degrade in situ for the phytoliths to be included in the archaeological record, no technique is perfect. But the key is, that phytoliths are well preserved in a variety of contexts and can add to our understanding of plant use; not only on sites with poor preservation of plant macrofossils and pollen, but also in contexts where plant remains may not have entered the archaeological record following charring. 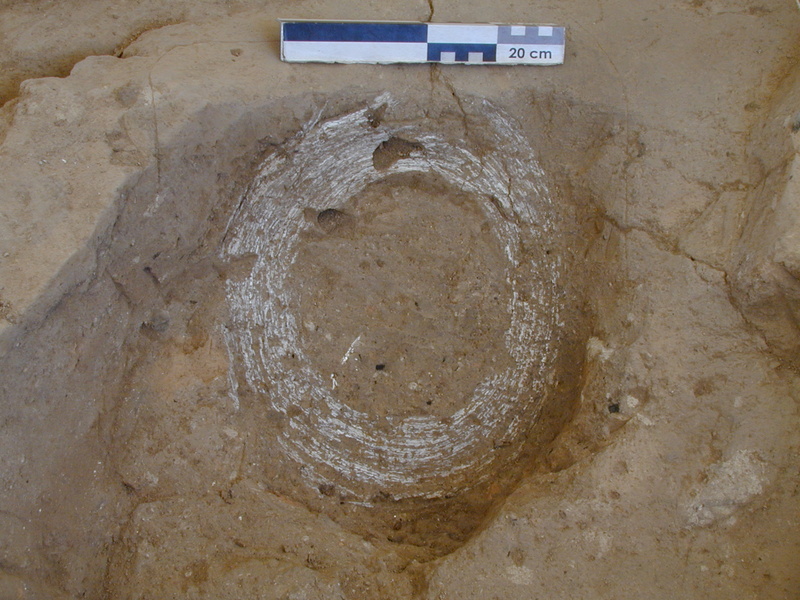 For example, organic crafts such as grass or palm matting may not be preserved by charring and therefore might be invisible on archaeological sites without waterlogged preservation. These may be visible through phytolith analysis if they have degraded in situ. To help identify diagnostic phytoliths I collected lots of plant samples from the field and I’m now creating a phytolith reference collection in the lab. It’s not a magic bullet to help us understand plant use in the past, but it is pretty cool! I’m working on late 14th to early 16th Century samples from Songo Mnara, a Swahili stonetown in Tanzania, part of the Songo Mnara Urban Landscape Project . 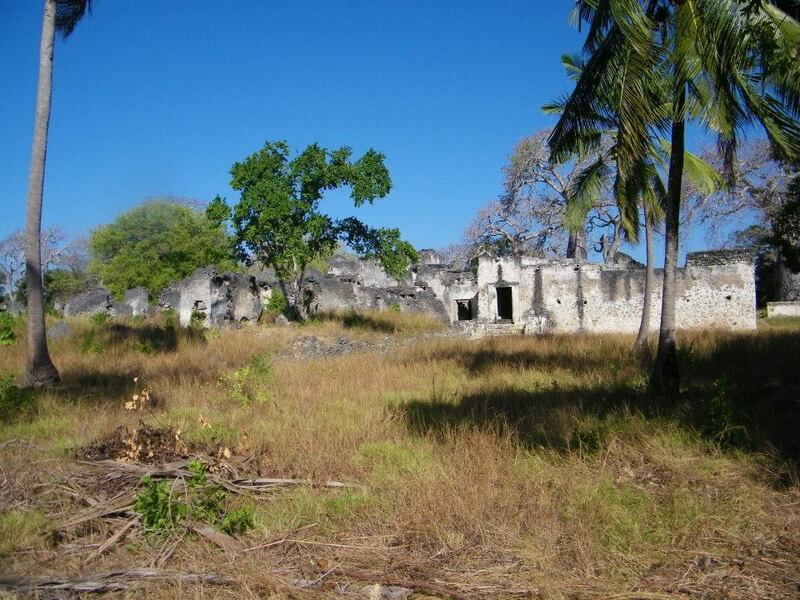 Songo Mnara is part of the Kilwa Archipelago and it’s linked to other settlements and islands along the East African coast through the Indian Ocean Trade network. Songo Mnara has truly amazing preservation of stone buildings!! To get to the site you have to take a Dhow from Kilwa Masoko with a guide and once you arrive on the island you have to wade through a tidal Mangrove swamp which can be anything between ankle deep and chest high! It’s off the beaten track, for sure. During the 2013 excavation season, two types of structure were excavated; a stone house divided into rooms and a collapsed wattle and daub structure, which appeared open plan. Initially it was thought that the monumental stone architecture in the town was standing in an open area, but extensive test pitting by Dr Fleisher combined with Geophysical and Magnetometer survey revealed the presence of concentrations of daub within this space. Excavation exposed two wattle and daub structures with comparable finds assemblages to that of the stone structures. The phytoliths I’m looking at today come from Trench 32, one of the daub structures. Spot samples were taken across the entire packed sand floor surface of the structure on a 1m grid, in order to assess whether phytolith analysis can be used as a tool for spatial analysis and to understand the use of plant materials within the structure. Samples were also taken from the ‘outside’ of the structure in the open area to identify clear differences in the phytolith assemblage between ‘inside’ and ‘outside’ and to see if it was possible to recreate the environment immediately adjacent to and further away from the structure. I’m really hoping that we’ll be able to see activity areas within the structure through the plant assemblage, for example food preparation areas or areas of matting. It may be possible to identify construction materials such as wood, or roofing materials such as palm thatch. I’m also hoping to see evidence of Indian Ocean Trade through phytoliths from imported edible plants within the assemblage, but as with all archaeology I can hope for lots of things, it doesn’t mean it’s there! We also sampled the stone house, which is really interesting, because it has clear rooms within it, whereas those divisions weren’t clear when excavating the daub structure. Phytolith analysis might enable us to see the limits of the daub structure by providing an ‘inside’ and an ‘outside’ botanical signature. 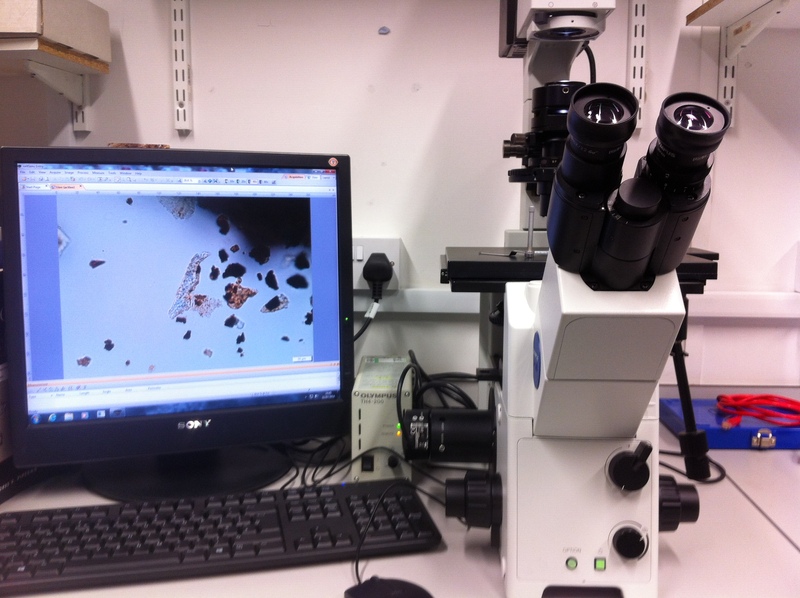 The process of counting involves using a high powered microscope at x400 magnification to identify phytoliths, photograph them, measure them and count them. I count around at least 250 per slide, which means that I’ve counted thousands from this site so far, and I’ve a lot more to do! Phytoliths are 3D objects, but when you’re looking down the microscope you only see the 2D image, which means that you have to remember that each phytolith type might look different depending on which angle you’re looking at it from! Phytoliths aren’t always round like pollen, in fact they’re frequently not round at all, they come in all shapes and various sizes! Although lab work is often thought of as completely different to fieldwork, it’s sort of the same. I search through transects on the slide, much like layers of stratigraphy looking for microscopic evidence in the form of phytoliths rather than artefacts. It can take a long time, it’s systematic and sometimes I don’t find anything of interest. Recording stratigraphy on site tells you a lot about site formation processes and human actions, likewise recording information about the slide assemblage is useful. For instance, lots of phytoliths which are still articulated suggests that there was little bioturbation, or lots of microcharcoal might suggest burning episodes. I’m on my last few slides from this pilot study now, and I’ve started to get an idea of what’s happening in the structure which is really exciting. Each phytolith assemblage has a different character, which suggests that the spatial approach might be working!! I can clearly see a difference between the assemblages from the floor surface ‘inside’ the building and the outside; I can also see variations across the floor surface within the structure. Future research will focus on the comparison of the stone house and the daub structure to see if there’s a difference between the uses of each structure. I also hope to look at some of the open area samples to try to understand how the urban landscape impacted on the local environment. 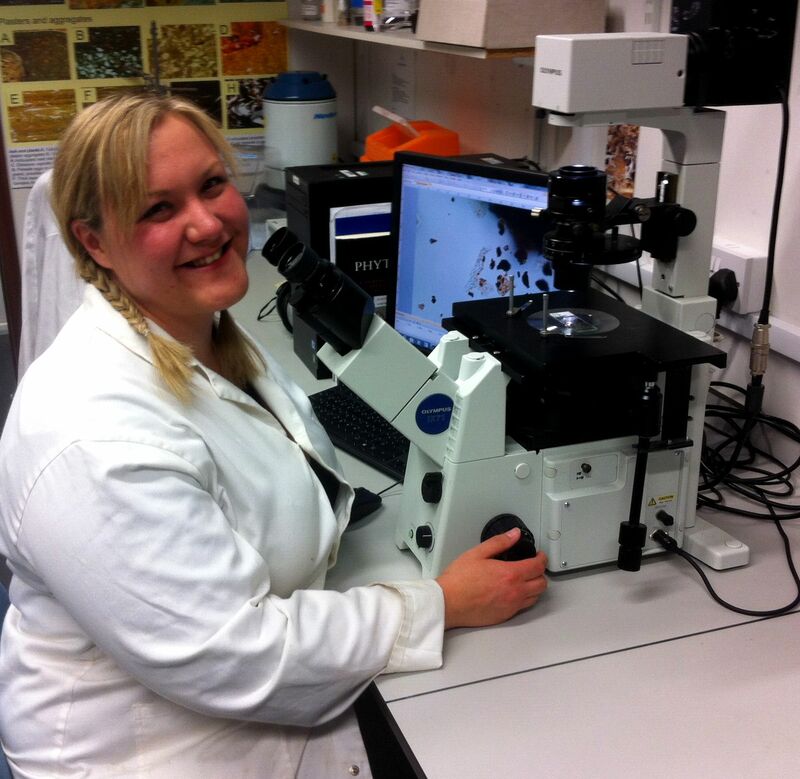 Follow my progress and find out more about phytolith analysis, archaeobotany and archaeology by checking in here every now and then, or follow me on twitter @hayley_mcp. Managed by Dr Stephanie Wynne-Jones and Dr Jeff Fleisher, funded by the NSF and AHRC. Welham, K., J. Fleisher, P. Cheetham, H. Manley, C. Steele, and S. Wynne-Jones. 2014. Geophysical Survey in Sub-Saharan Africa: Magnetic and Electromagnetic Investigation of the UNESCO World Heritage Site of Songo Mnara, Tanzania. Archaeological Prospection.